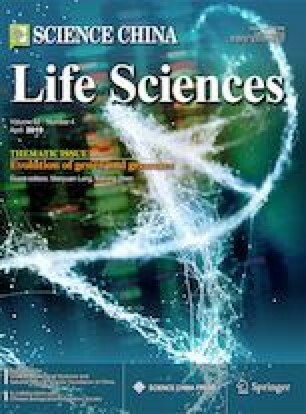 Continual discoveries of new genes and unraveling the genetic etiology in amyotrophic lateral sclerosis (ALS) have provided greater insight into the underlying pathogenesis in motor neuron degeneration, as well as facilitating the disease modeling and the testing of targeted therapeutics. While, the genetic etiology accounted for two-thirds of FALS and approximately 11% of SALS in Caucasians. However, the contributions of these causative genes to ALS vary among different populations. Furthermore, the prominent difference between Chinese population and other ethnics remains a source of ongoing debate. We systemically reviewed genetics literature of Chinese ALS populations and updated the mutation frequencies of the main ALS-implicated genes aiming to determine the genetic features of ALS in Chinese population. We also reviewed the associations between ALS-implicated single nucleotide polymorphisms (SNPs) and the risk of ALS in Chinese population. A total of 116 studies were included in this analysis (86 gene mutation study articles and 30 SNPs study articles). The results showed that the overall gene mutation rates of ALS-related causative genes were 55.0% in familial ALS (FALS) and 11.7% in sporadic ALS (SALS) in Chinese population. In Chinese FALS, the highest mutation frequency was found in SOD1 gene (25.6%), followed by FUS (5.8%), TARDBP (5.8%), DCTN1 (3.6%) and C9orf72 (3.5%). In Chinese SALS, the highest mutation frequency was also identified in SOD1 gene (1.6%), followed by ANXA11 (1.4%), FUS (1.3%), SQSTM1 (1.0%), OPTN (0.9%) and CCNF (0.8%). The associations between several SNPs and risk of ALS were also reported in Chinese population. The genetic features of ALS in Chinese population are significantly different from those in Caucasian population, indicating an association between genetic susceptibility and origin of population. Further explorations are required to understand the gene complexity of ALS, including the contribution of most minor genes and the molecular mechanisms in ALS pathologies. Supplementary material is available for this article at https://doi.org/10.1007/s11427-018-9453-x and is accessible for authorized users. This study was supported by the funding of the National Natural Science Foundation of China (81371394) and the National Key Research and Development Program of China (2016YFC0901504). Supplementary table 1 The mutation frequencies of common causative genes in Chinese ALS patients from included studies.